The Zoroastrian religion is the world's first monotheistic religion. They keep a sacred fire going at all times, calling it the light of God, perfect for Burning Man. 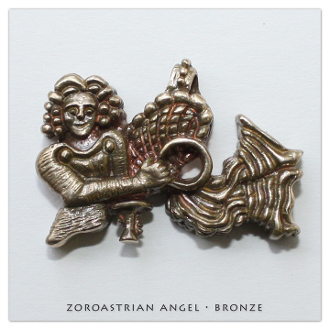 Zoroastrian Angel is available in solid: Bronze (Yellow). them with your order. Please contact me immediately if there is any fault with your order.